Part 5 of Greg Doudna‘s the interview with John Curington. The previous installment ended with Curington’s recalling a visit by Adlai Stevenson amidst a rowdy demonstration and H.L. Hunts interest in retrieving an autographed book. GD: The Adlai Stevenson incident happened less than a month before the Kennedy assassination. You have to accept this fact: Johnson had worn his welcome out with the Kennedys on the ‘60’s ticket there. He was gonna be—he was not gonna be on the ticket in ’64. Bobby Kennedy was going to indict a fellow named Bobby Baker. And that deal was already made. 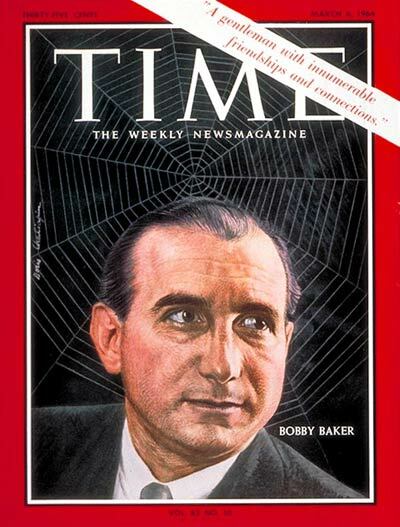 Bobby Baker would in turn turn against Lyndon Johnson, enter into a plea agreement on his deal, just like they’re doing on the deal with Trump. Johnson was going to be out in ’64. No ifs, ands, buts, and maybes. And nobody realized this until about the beginning of ’63, latter part of ’62 or ’63. Johnson was losing his skills every day, and Jack Kennedy was gaining more. So Mr. Hunt was almost at the stage where he didn’t have much time to fulfill his obligation that Kennedy would not live through four—would not survive four years in the office there. That’s really the essence of the Kennedy story. For Mr. Hunt to protect his empire, and to honor his commitment to Lyndon Johnson, Kennedy had to leave office. No ifs, ands, buts about it. GD: How could Hunt make that happen? JC: Having somebody shoot him with a high-powered rifle. Pretty easy. GD: How would Hunt go about doing that? JC: I don’t think Hunt would have gotten on the telephone and called somebody up. I think he would have had enough power with Sam Giancana or Joe Civello, or Luciano, just to make a suggestion that he needed a little help, and I think they would run it there. JC: No, he wouldn’t care how they did it. GD: After the assassination, did Mr. Hunt show any signs or unusual knowledge or say anything? JC: No. And that wouldn’t be unusual at all. GD: And you say that Hunt—nobody was above Hunt? GD: Hunt gave orders, but nobody gave Hunt orders. GD: He would? He would give orders to these guys?